What if We're Wrong About Gold? GUALFIN, Argentina – Here at the ranch, the skies have darkened, and the temperature has dropped sharply. It’s that time of year. The first frost can’t be long coming. For instance, in the upcoming issue of our monthly publication, The Bill Bonner Letter, we try to figure out how the credit-money system really works. After years of observation, heavy drinking, and meditation, we think we finally understand, more or less, what is going on. To make a long story short: Funny money produces a funny economy. And people don’t become better off in a funny economy. They get poorer. Today, we want to deal with the many questions Diary readers have sent in about our deal with top stock picker Chris Mayer. As we began to explain earlier this week, we’ve been in this business for over three decades. During that time, our investment profits have been meager, but our skepticism has greatly increased! The truth is, few people make much money from public market investing. You’re much more likely to make real money by buying a parking lot… investing in your brother’s new venture… or starting your own business. Buying a stock on Wall Street… or worse, investing “in the stock market”… seems to us like a reckless gamble. If there were real money to be made, why would the Wall Street sharpies let you make it? The only possible answer: They make more money selling you shares than they would by buying them. When you make an investment in a private company, you may pay only five or six times expected annual earnings. In the public market, a share in a company may sell for twice that much… and often much more. Where does all that extra money go? To lawyers, accountants, investment banks, venture capitalists – the people who wear Italian suits, drive German cars, and have houses on Long Island. The way to make real money is to avoid those people… and focus your attention on something you can learn yourself. That’s where the real payoff is. If you expect your investment to grow, you have to fertilize it with private, not public, knowledge. For example, everybody knows people are getting older. But if you want to make money, you have to know that the old timers need a place to park when they visit the clinic near you. Then, you’re able to invest smart… in something you understand. That’s why real estate is often a good investment: It’s local… and understandable. If you follow the local market closely, you’ll probably find some bargains… or know enough to stay out. We had another deal proposed to us yesterday – a landmark building in Baltimore… 37,000 square feet… available for free. “Yes… it’s there. And there are tax credits that might make it free. But it won’t be free by the time you do what you need to do. Besides, it’s almost unusable space. Spectacular, but very inefficient. We decided to pass. You gotta know the territory. Alright, Mr. Smarty Pants, why are you investing in the stock market now… when you think the stock market is generally a bad place to make money… and especially right now? We would prefer to invest in private deals. But we have a problem. Private deals take time. We have money to invest… but no time to figure out private deals. Often, we get offered a good deal – from a friend, a family member, or a business partner – and we have to decline, simply because we don’t have the time to study it. We just don’t have the time to pay attention to it. We’re too busy writing to you! That leaves us forced to put money somewhere. Gold, yes. Cash, yes. But what if we’re wrong about the big picture? 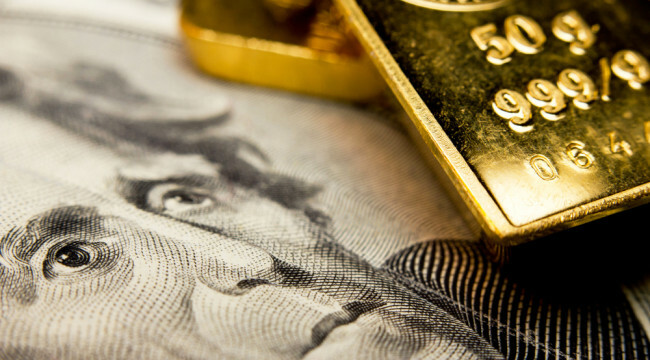 What if gold is made obsolete by Bitcoin… and inflation picks up, hurting our cash positions? What if Mr. Smarty Pants isn’t as smart as he thinks? As we told Bill Bonner Letter readers, that’s why we hedge our bets with a simple “one-thirds” portfolio. Broadly speaking, we put one-third of our money in cash, one-third in gold, and one-third in carefully selected stocks. And we thought it would be interesting… and educational… to do it in plain view. That’s why, for our allocation to stocks, we decided to follow the recommendations Chris Mayer makes to readers in his new advisory, Bonner Private Portfolio. That way, you learn what we learn. You see, we don’t regard money as an end. It is more a tool. With money, you can do things that you can’t do without it. And you learn things. You see the results. So, even if you don’t subscribe to Chris’ new advisory, we’ll tell you how it turns out.